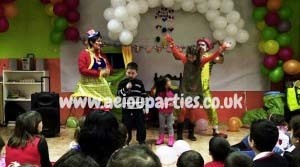 AEIOU Kids Club provides the best Kids Birthday Party Entertainment in London to make your birthday party just amazing. We offer our services not only for birthday parties, but also to school parties, sport parties, nurseries parties, toddler parties, and even to several events such as corporate and community events and also festivals, weddings, christenings, and so o. Our children’s party entertainers will ensure the London Kids entertainment for birthday parties with our kids party activities. 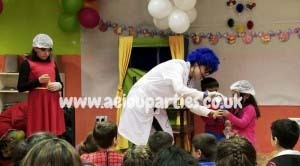 Your kids birthday entertainment is guaranteed with AEIOU Kids Club! We can provide your kids birthday party entertainment in every area of London including Central London, City of Westminster, Kensington and Chelsea, Hammersmith and Fulham, Wandsworth, Lambeth, Southwark, Tower Hamlets, Hackney, Islington, Camden, Brent, Ealing, Hounslow, and more. 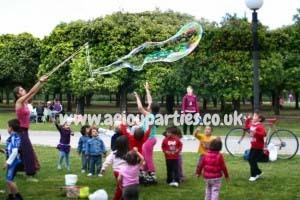 Your kids birthday party entertainment in Londonis assured by AEIOU Kids Club. In fact, we have several party packages to guarantee that no one goes away unhappy. Take a look and see what we have to offer you. Lots of surprises are waiting for you! Contact us for further info and prices! CLASSIC – Our Classic party package is just fantastic. 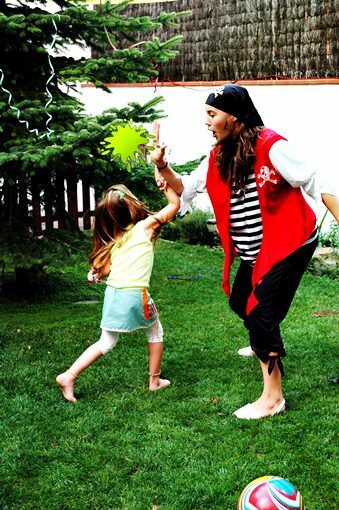 Your kids will enjoy our activities which include music, singing, dancing, face painting and balloon modelling. I am sure you won’t find better kids entertainment in London. THE CLASSIC + STORYTELLING/PUPPETS: You can make your kids birthday party even better adding to our classic party package a storytelling session and a puppet show. I am sure that the younger ones will love it! Your kids birthday party entertainment in London is guaranteed. THE CLASSIC + MARVELLOUS MAGIC: And what about a magic show? Add to our classic activities our fantastic magic tricks to ensure your birthday party entertainment for kids. 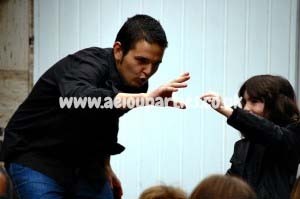 Our magicians for hire will ensure your kids birthday entertainment. THE CLASSIC + BUBBLES: Pop! Pop! Lots of giant bubbles will fly in direction to your kids and at the end of our show they will be truly soaped. With our show and our classic activities the kids birthday party entertainment in London will be complete! THE CLASSIC + SCIENCE: Give your kids a Fantastic Science Show to ensure your kids birthday entertainment. Together with our classic set of activities the success of your party will be guaranteed and you can be sure that the kids birthday party entertainment in London will be guaranteed too. CLOWN SHOW: You will cry from laughing so hard with the constant falls of our silly clowns. They will try to sing, dance and they will fail a lot, everything to ensure your children’s birthday party entertainment in London. ENTERTAINMENT + 30 MIN MAGIC: You will ensure your London kids entertainment for birthday parties with this party package which includes a full 30 minute magic show and an energetic set of activities for kids with more than 7 years old. PAMPER PARTY: Give your daughter a party, especially designed for her. A full day with hair styles, glittery make up, nail polish and a catwalk performance and training. It is the perfect girl birthday party entertainment that you could hire! 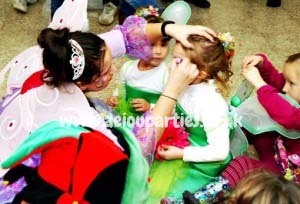 THEMED PARTIES: There is nothing better than a themed party to ensure your kids birthday party entertainment in London. 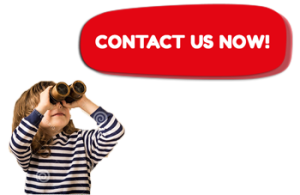 You can hire our pirate parties, princess parties, fairy parties, superheroes parties… Well, the options never end, so the best thing you can do is contact us to get further info and prices. : It’s like the name suggests: lots of challenging indoors and outdoors activities and competitions, especially designed for kids with more than 8 years old. If you need boy birthday party entertainment this party package is simply the best! DISCO PARTY: If you want kids birthday party entertainment in London you are in the right place. With this party package all of you will have a lot of fun with our moves, choreographies, kids’ fashion make-up and glittery tattoos. Your Kids Birthday entertainment is guaranteed with us, believe me! Frozen Party: This is the latest hit among the Kids. In fact the Frozen Movie is a huge success and I am sure your little ones will love to have the presence of Elsa and Anna in their party. Lots of music, magic and games are waiting for you to ensure your kids birthday entertainment in London. PROFESSIONAL MAGIC SHOW: We have a great surprise for you that certainly will guarantee your kids birthday party entertainment in London. A full one hour magic show with a professional Magic circle registered magicians for hire completely interactive and participative. Isn’t it fabulous? WORKSHOPS: AEIOU Kids club also offers you lots of workshops to make your birthday party unique. We have Model Balloons, Magic Tricks, Face Painting Training, Arts, Cooking, Crafts and many other workshops. MORE: sport parties, children’s Christmas Party, Christmas entertainers, Santa Claus for Hire, Halloween Parties, mascots, catering, bouncy castles, decorations, and more. 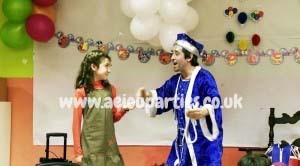 AEIOU Kids Club provides your kids birthday party entertainment in London with commitment and the sure that our entertainers will do their best to make every soul of the party spend a great time. All of them are DBS checked and they really love what they do. That’s why we have the best kids birthday parties in London, Manchester, Liverpool and Birmingham. I’m sure that now you know we are the best children’s birthday party company that you can hire. 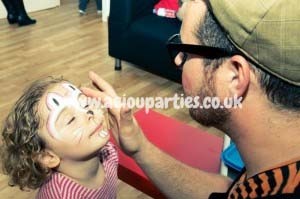 I assure you that with us, your kids birthday party entertainment in London is guaranteed!